Thanks Sue for hosting this week. A topic close to my heart. 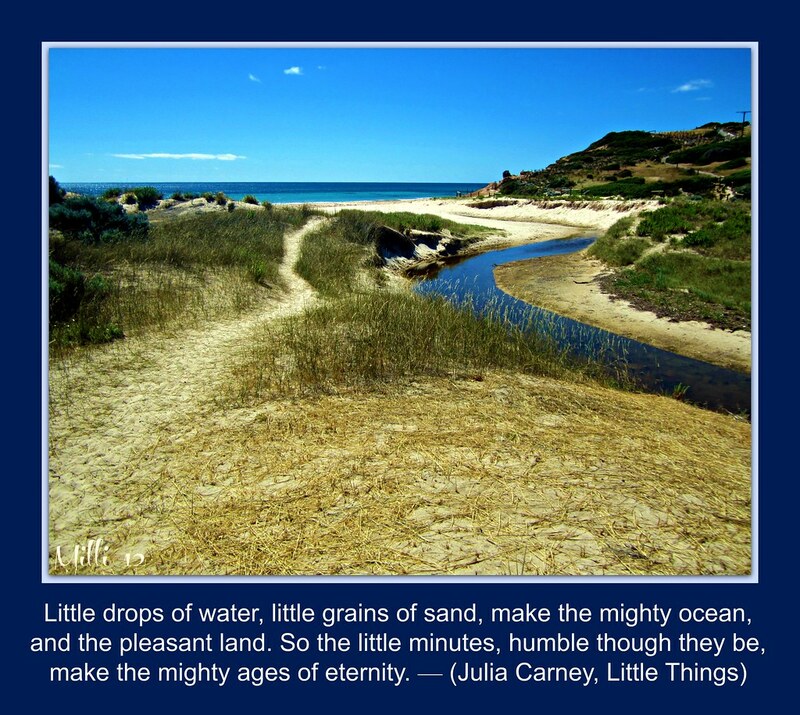 "Images & Words - By the Seashore -186"
The might ages of eternity ... love the power within those words .... a perfect shot for those words ... somehow the river that feeds into the sea always reminds me of the vein of life ... Beautiful entry! Somehow the beginning of those words remind me of a song we sung at infants school, and that was many years ago. Beautiful picture. That is one lovely photo Milli and I love the words. Love the shades of blue of the sea and pale brown of the soft sand. Beautiful quote. A beautiful shot. Looks very similar to a beach not too far from where I live. Nicely chosen quote to go with it. beautiful scene and a lovely poem! Lovely picture too... the water is such a nice blue!